When a renowned author and jewellery specialist joins hands with a major gemstones miner, the result most often is an impressive one. 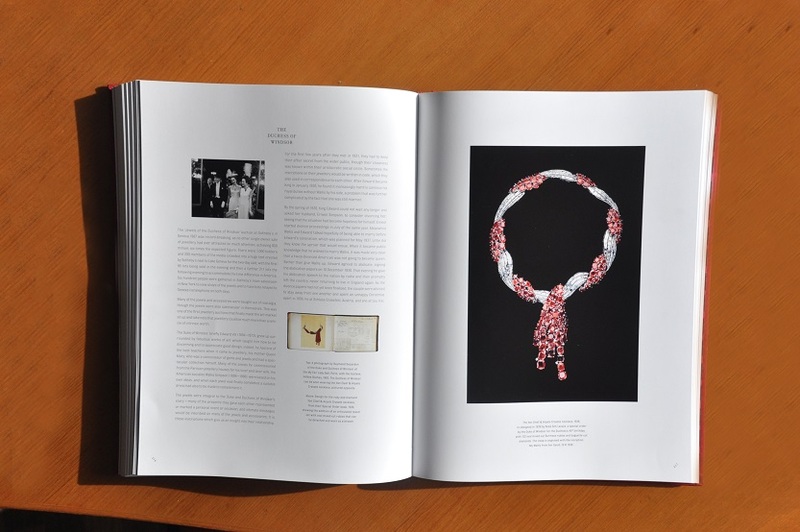 Joanna Hardy, having over 30 years of experience in working with jewellery has in the past worked with Sotheby’s in Bond Street and, is an Independent fine jewellery specialist who frequently conducts jewellery master classes all over the world. She has recently joined hands with Gemfields, the leading supplier of responsibly sourced coloured gemstones and to give form to her years of expertise. 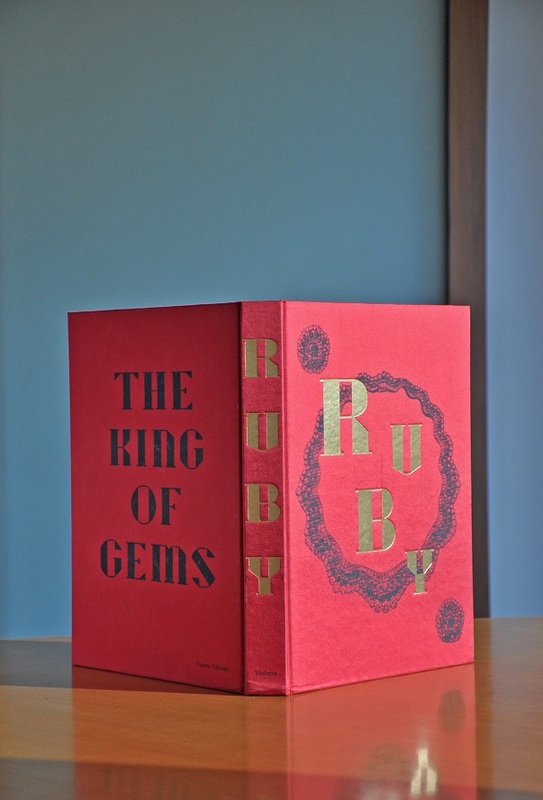 Published by Thames & Hudson in association with Violette Editions, Ruby by Joanna Hardy is a comprehensive survey of the king of gemstones. From the ancient mines of Burma and the silk trading routes of China to the deposits in Mozambique, Hardy delves into fascinating cutting and polishing techniques and traces the journeys of several iconic pieces that have been donned by royalty and style mavens alike. At the book launch, we indulged in a free-wheeling chat with Hardy who shares more about her tryst with the precious stones and curating the riveting book. What has your journey from being a goldsmith to being a grader and valuer been like? It’s a lot for me to encapsulate in a couple of minutes, but it’s been an incredible journey. I’ve been very lucky, but it all, of course, comes with a lot of hard work. It’s been 35 years, and it’s the people along the way that have made it special. Without the people, the gemstones and the jewellery industry is only half-full. What has been the highlight of working with gemstones? Even after so many years of experience, I am still learning – and that is what I love. You never know enough. There is always something that I am learning that is completely new. That’s very important to me because it makes you humble and you realise that you actually never know it all. And if you think you do, you definitely have it all wrong! What initially drew you towards gemstones? It’s two things – one, that it’s something that’s natural from the Earth – that’s always fascinated me. When I was a child, I used to love picking up pebbles from the beach or shores and poring over the details. When I started taking a closer look at gemstones and took a look at one through a microscope, it was like diving into another world, like walking into an abstract painting – there’s no way to know what you’re going to find or see. Every single time you look down a microscope, it’s different. With gemstones, you have to be very particular, because it’s all about the details. Jewellery is about detail, and that has always spoken to me. 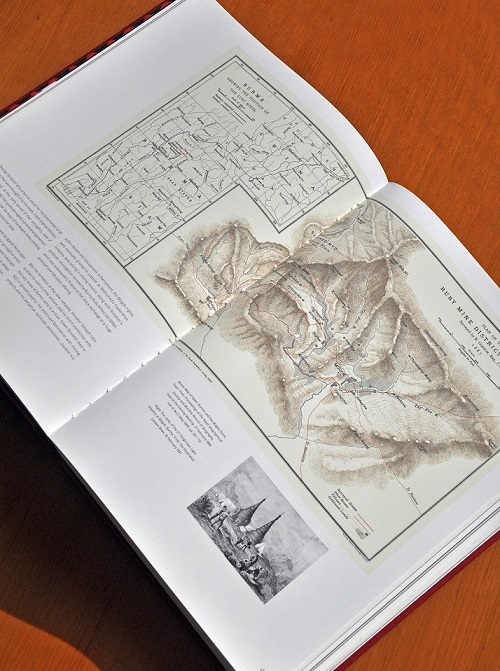 What was the process of curating this tome like? I see this book as a collaboration. 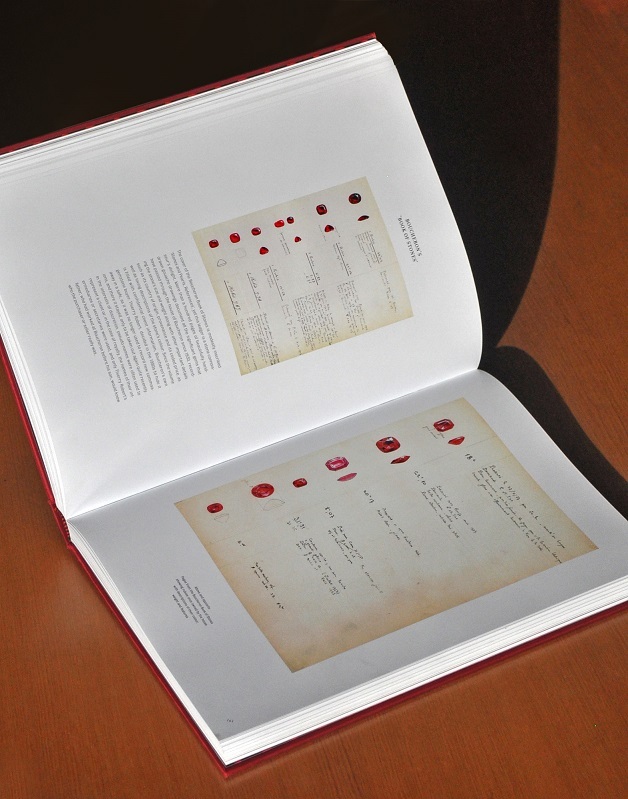 First of all, if it wasn’t for Gemfields, I wouldn’t have been able to see a book of this size through to the end – so I thank Gemfields for that. And then, it’s 35 years of my life coming together here, because all the relationships that I have, with all the brands and all the different people that were involved in the book, I have known the majority of them for years and years. It’s that trust, reputation and friendship that has enabled this. Physically going to the mines in Burma and Mogok were incredible experiences although trying to find archives and getting behind the stories was sometimes a challenge. Museums were pretty challenging too. There were all sorts of roadblocks, but I’ve overcome them all. 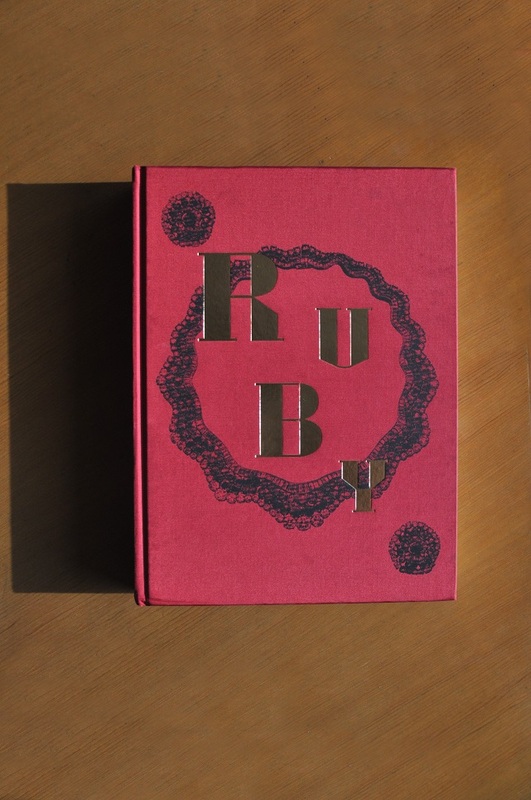 What are some of the new things that you have discovered about rubies while curating this book? What I have actually experienced with the ruby and has astounded me is how powerful the stone is. Working with it so intensely, I’ve developed unparalleled respect for it. For instance, with the emerald, it’s a very soothing colour. A ruby is powerful and passionate. Do you see diamonds giving way to rubies? People will always love diamonds. And talking about white diamonds, I think there has been a lot of education with them, so people understand it. People don’t understand colour on that scale, but now, Gemfields, with its commitment to education, is offering support to people like myself so that we can educate others about coloured stones. What do you want people to take from this book? I want people to read it, to realise and appreciate the journey of the ruby over 800 years and also be able to value the fact that red comes in many different shades. It’s your choice. You can have the exact shade that suits you. Once people start looking at rubies in a different way, my mission will have been accomplished.